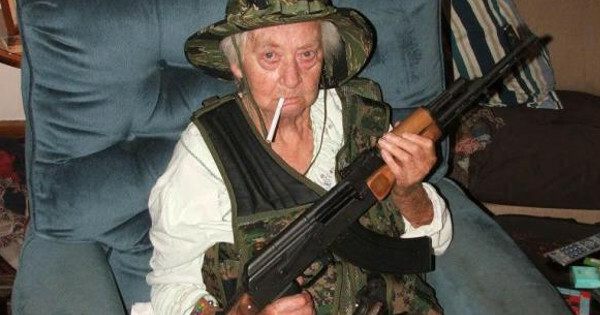 4 Comments on "Grandmother with AK-47 saves cops being attacked by street gang"
I pray that the grateful officers will look out for her when possible…..and give her a special alarm to call them if needed. Bravo to that super lady….a heroine for sure. Wish current California Law I’m afraid she may have lost her AK. They have been pretty much banned there!